ERP in Cloud : Find out how you can boost your performance by integrating your existing Salesforce account with our Cloud ERP solution. Opportunities which are marked as “Closed Won” in SFDC is imported as Quotations. All the Product lines added to the Opportunities are imported as Sales Order Lines. 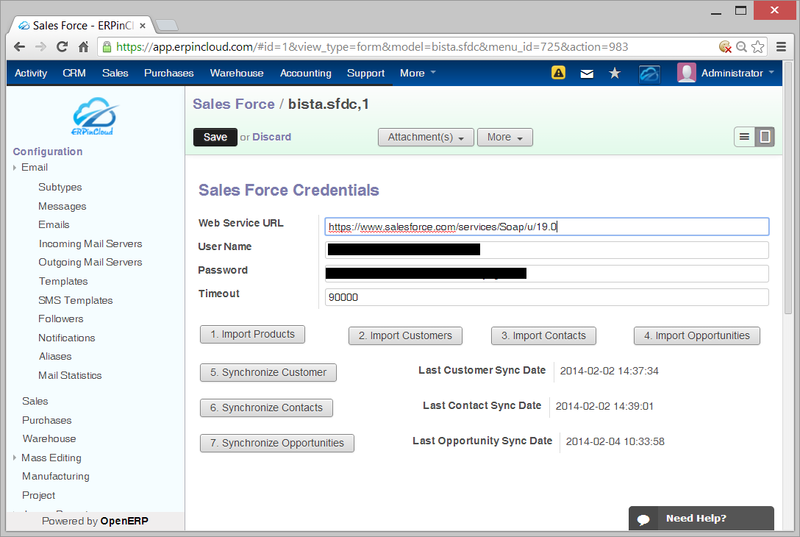 The Sales Order number of Cloud ERP is updated back into SFDC, so that the Sales Person can view the ERP’s id for their Opportunity. Once the Order is Shipped from Cloud ERP the tracking number is updated back into the Opportunity on SFDC. Feel free to contact us at sales@erpincloud.com for more information on how you can leverage our Cloud ERP solution with you existing Salesforce.com account.